US Naval Institute Press, 9781591143864, 320pp. Air Force navigators and bombardiers have long labored under the shadow of pilots�their contributions undervalued, misunderstood, or simply unknown to the general public. 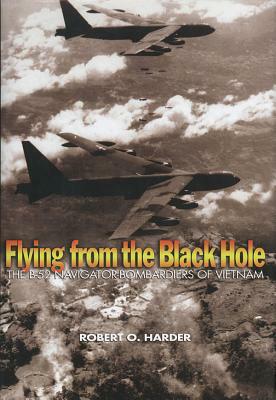 This was especially the case with the non-pilot officer aircrew in the Vietnam and Cold War-era B-52 Stratofortress. Of the six people who operated the bomber, three wore navigator wings�two of those men were also bombardiers, the other an electronic warfare officer. Without the navigator-bombardiers in particular, executing the nuclear war strike plan or flying Southeast Asian conventional bombing sorties would have been impossible. This book reveals who these men were and what they did down in the �Black Hole,� a story told by one of their own.